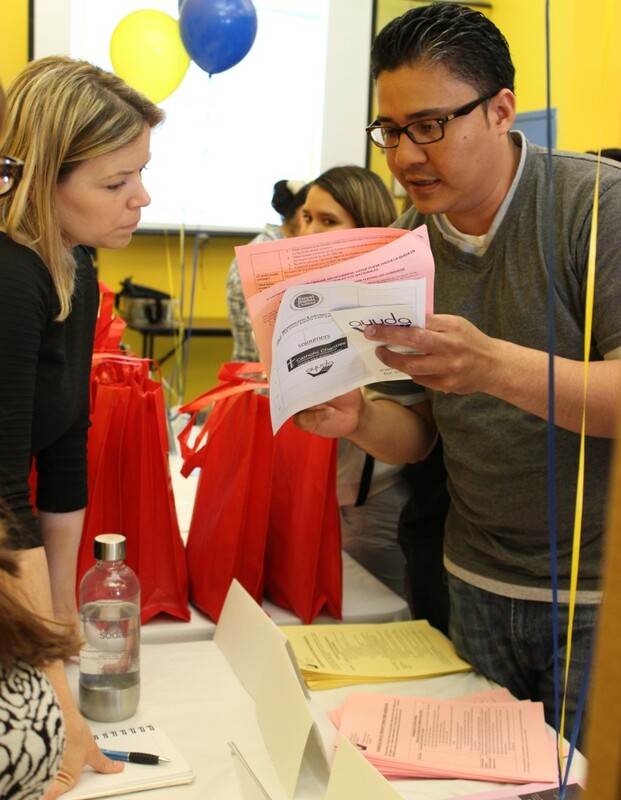 Briya students learned about their rights as workers, tenants, immigrants, and parents living in DC during Briya’s first Know Your Rights info fair on May 6. Held at Briya’s Ontario Road site, the event was an opportunity for various local organizations to share their resources and expertise with Briya students and others from the local community. Agencies shared materials on workers’ rights, domestic violence, immigration law, disability rights, discrimination, tax help, and more. To encourage engagement, students completed a scavenger hunt that required them to interact with the representatives. Eleven area organizations—Ayuda, CARECEN, Catholic Charities, DC Employee Justice Center, The Equal Rights Center, Julia M. Toro Law Firm, LEDC, Mayor’s Office on Latino Affairs, SAFE, Sojourners, and Washington Lawyer’s Committee for Civil Rights & Urban Affairs—participated in the May 6 event. “This event was a win for both the organizations who participated and the Briya students who attended,” Mintz said. Briya will host a second Know Your Rights event at our 3912 Georgia Ave. location from 10:30-2 on June 11. Stop by to learn about your rights as a DC citizen! Two Briya students, Yanira Umaña and Anabel Cruz, were honored at the 2015 STARS Tribute, an annual event that celebrates the best students, parents and school leaders in DC public charter schools. The tribute is organized by the DC Association for Chartered Public Schools. 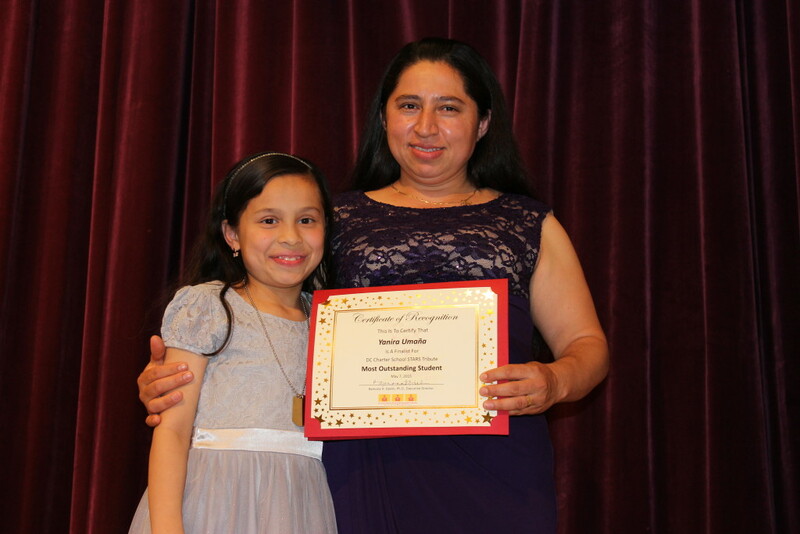 Umaña was a finalist in the category of Outstanding Adult Student. She began in Briya’s Basic II ESL/family literacy class in 2012 and has since progressed to Intermediate II. Her son, Moises Rios, has been in Briya’s Early Childhood program since infancy, and she is also mother to eight-year-old Emily. Anabel Cruz, a current Advanced II student who began in the Intermediate I class in 2006, was awarded Most Outstanding Parent at the tribute. In addition to advancing in Briya’s family literacy program, Cruz received her high school diploma through Briya’s NEDP program, completed a six-year term as a Briya board member, and graduated from Briya’s Medical Assistant program. She is currently the PTA president at Mundo Verde PCS, where her three children attend. Can you imagine spending over 1750 hours (73 days) reading? What about reading almost 1,300 books in 4 weeks? Briya students did just that in the past month during their Reading Challenge! From April 8 to May 8, all students in Briya’s Basic and Intermediate family literacy classes read for a total of 1,766 hours (73 days), while students in Advanced classes read a total of 1,290 books. The goal of the Reading Challenge, which Briya has held for the past 10 years, is to encourage students to incorporate more reading into their lives and the lives of their families. Students record the number of minutes or number of books they read. They can read alone or with their children, in English or in their native language. Students select reading material based on their own interest. To help motivate students, each of Briya’s three sites created a mural to visually represent the amount students read. The murals started with a basic background and gradually grew more colorful and complete as students added to them. 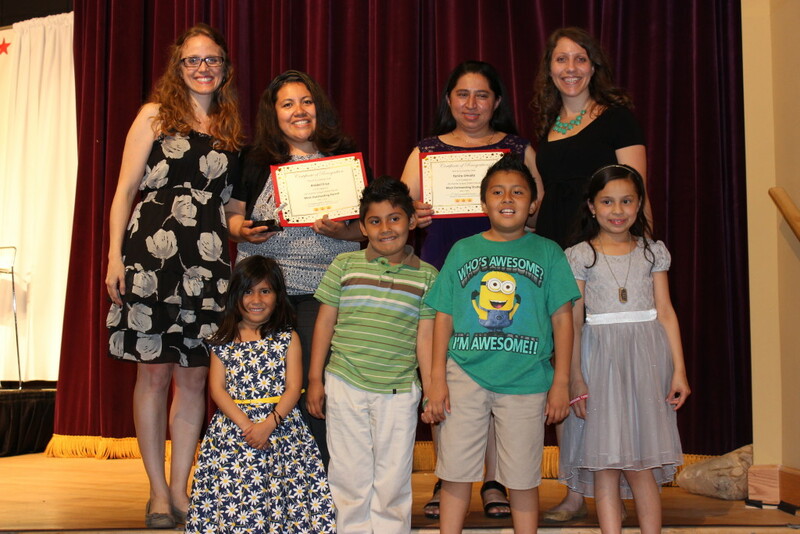 On May 8, students at each site celebrated with a party, where the top readers in every class were honored with an award. Students also each received a book to take home with them!